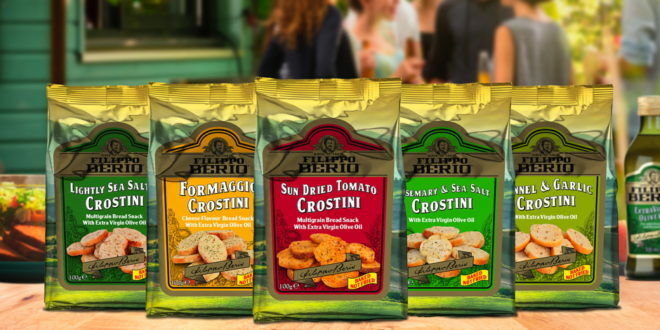 Chaucer Foods UK is joining forces with olive oil brand, Filippo Berio, to develop a range of baked snacks. 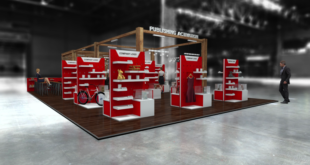 Set to launch in the UK later this year and debuting with a line of Crostini, fans will be able to enjoy the new Mediterranean flavour added to Chaucer Food’s portfolio of snacks. New flavours include Fennel & Garlic, Formaggio (cheese flavour), Lightly Sea Salted, Rosemary & Sea Salt, and Sundried Tomato, all inspired by Filippo Berio’s Italian heritage. “We are extremely happy to announce our new agreement with Filippo Berio,” said Grant Walsh, sales director of Chaucer Foods. The partnership, brokered by Beanstalk, will also boast a product line consisting of five SKUs that are baked and not fried, with 30 per cent less fat that fried crisps.